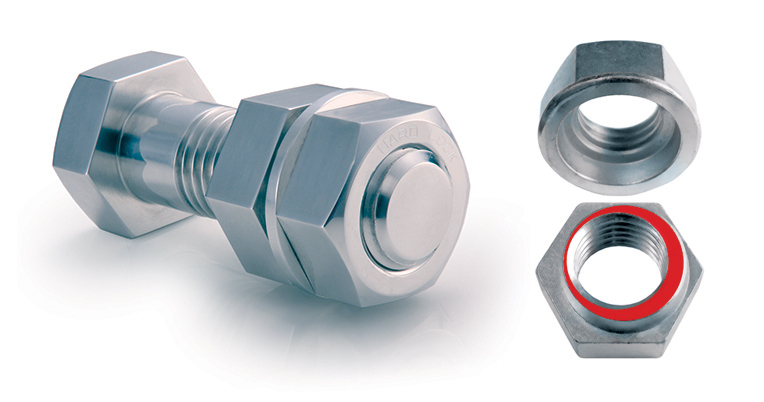 The Hardlock Nut, designed to be simple, robust, re-useable and more effective at resisting loosening by shock & vibration than any other locking nut. The Hardlock functions by utilising two nuts that work together. 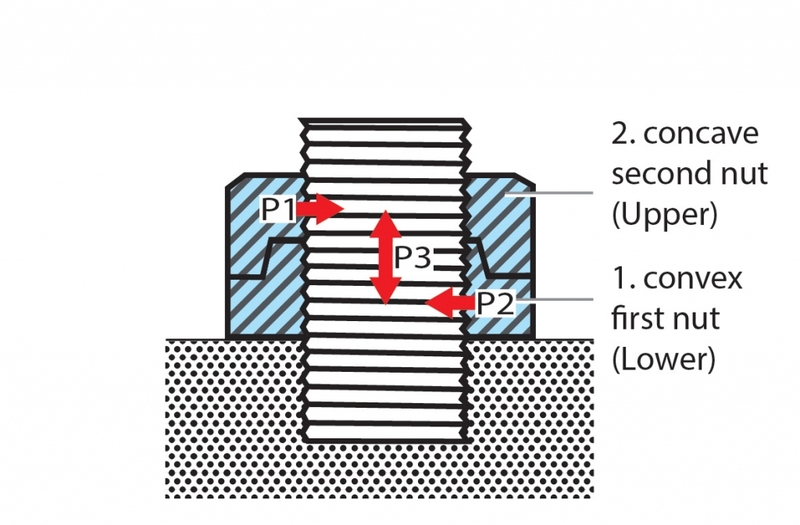 The cone on the lower nut is off-set, so that when tightened against the upper nut, vertical and horizontal locking forces engage the screw thread. A brief description of how Hardlock works has been prepared in 11 languages. Why not download the PDF or share the link with colleagues ?